Surat Thani, Thailand. 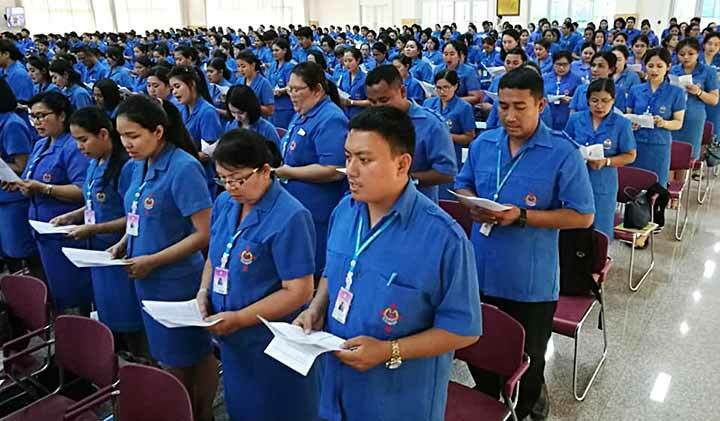 15 October 2018 --As is the case every five years, also this October 2018 a seminar for all our teachers from 9 SIHM schools (Servants of the Immaculate Heart of Mary) took place at Thidamaepra School, Surat Thani Diocese on October 11-13, 2018. The 760 teachers and 18 Sisters who are responsible as administrators in our schools came together. The theme of this meeting was "The role of teachers in SIHM schools and skills in Communication". On October 11,there was an opening Eucharistic Celebration presided by Surat Thani Bishop Joseph Prathan Sridarunsil, SDB who is also responsible for our Congregation. All 760 teachers and SIHM sisters were present. Bishop Prathan preached on how important the role of the teachers is as educators of their students. Indeed our teachers exercise the role of the one who moulds the clay, as it is written in the Book of the Prophet Jeremiah. Three day of interaction and sharing were focused on how to become better listeners and more effective educators in the accompaniment of the young, like was Jesus and one of his disciples - Don Bosco. We organise this meeting once every five years. The SIHM Congregation is committed to the education mission in 9 of their own schools and in another 6 Catholic schools that belong to the dioceses. 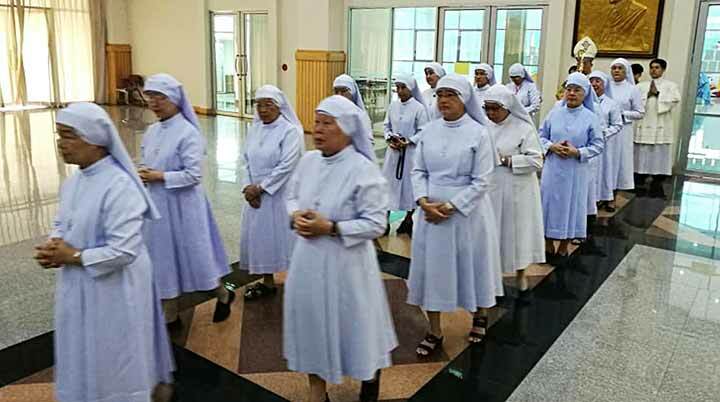 As members of the Salesian Family, they consider their education mission as their priority, trying to practise the Preventive System of Don Bosco with many lay mission partners. 4880_Let us pray for our Salesian missionaries! 4879(I)_The way forward - "Once a Bosconian, always a Bosconian"
4878(III)_How are our Youth Ministry Province Delegates doing?